By Caz | January 31, 2019 | This post may contain affiliate links, which means we may receive a small commission, at no cost to you, if you make a purchase through a link. Read our Disclosure. Mrs. Makepeace’s class is back in session! 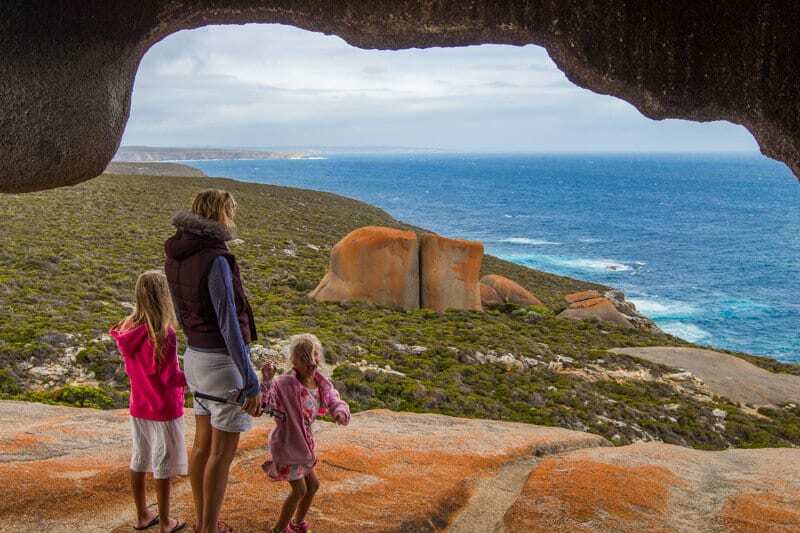 After 18 months of homeschooling Kalyra on our road trip around Australia, I didn’t think I’d be taking on the responsibility of teaching my kids while traveling again. But, here we are, and this time, Savannah is joining my school. We left the establishment in October last year, and I’ve been homeschooling on the road since. Last time we did distance education. This time I’m taking care of it myself! 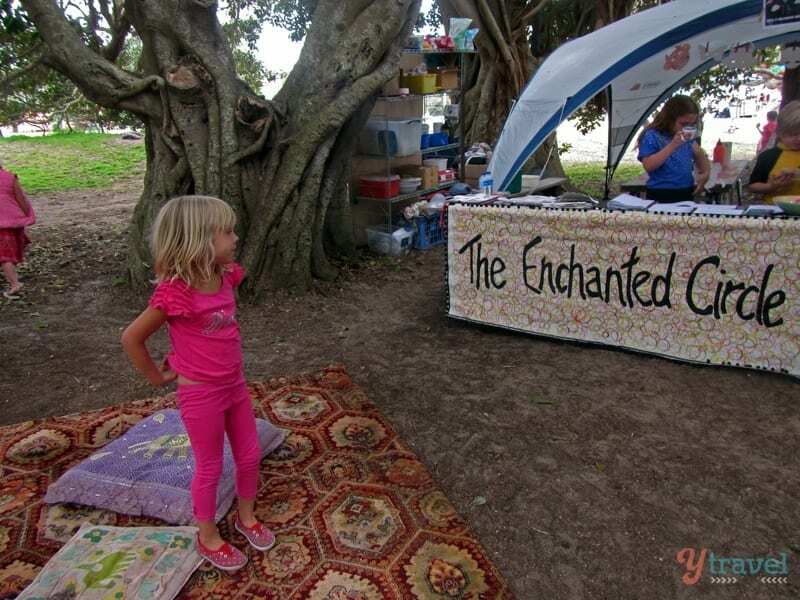 Why I chose to homeschool on the road, or in other words, roadschooling? What about registering for homeschooling in the USA? What are our higher order thinking skills? 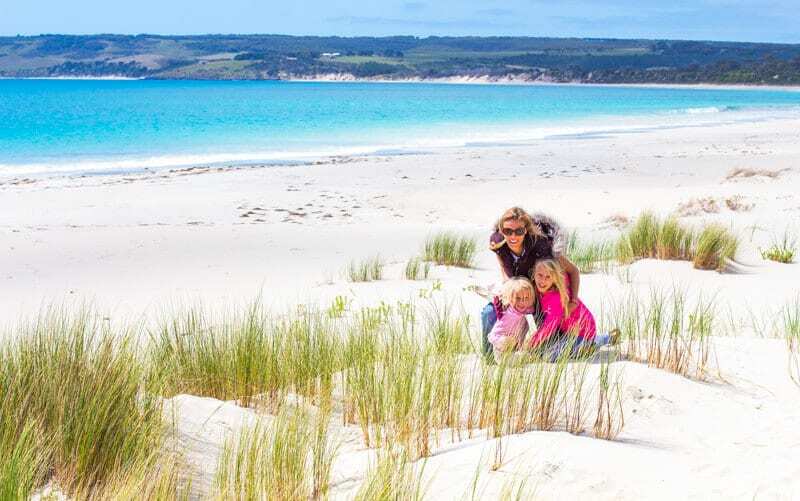 When we traveled around Australia, we chose to teach our kids via distance education. We couldn’t homeschool on the road technically because we didn’t have a “home base”. I was not long coming off retirement from a 15-year teaching experience. I dreaded the idea of having to prepare units of work and lessons and ensuring I was on par with curriculum outcomes. Plus, I knew I just wouldn’t have the time. 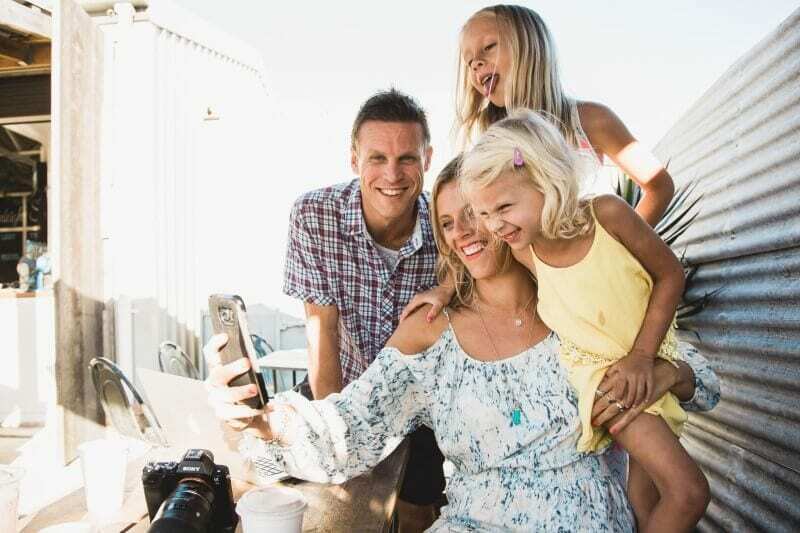 We were dealing with a growing business as well as finding our feet with such an epic and new full-time journey as a family. Distance Education while traveling had its good and bad points, but it was quite time-consuming, irrelevant at times and restrictive. But, I did like it in a lot of ways as well. I share more tips for distance education here. Again, this time I couldn’t register the girls for homeschooling in Australia so the only option was distance education. But, when I looked into distance education while traveling overseas, it was going to cost at least $1500 per child (including international postage – whole lotta hassle there too!). I couldn’t justify paying that much money, especially since I am a qualified teacher and confident and capable enough to teach my own kids while traveling. AND distance education involves too much unnecessary work. There as also the problem of us kind of lingering between two worlds for the next few years – do we settle in Australia or the US eventually? Therefore which system do I want to stay connected too? Your ability to take on homeschooling, or roadschooling. Can you be diligent, committed and patient? Your style – do you need structure or help or can you freewheel? 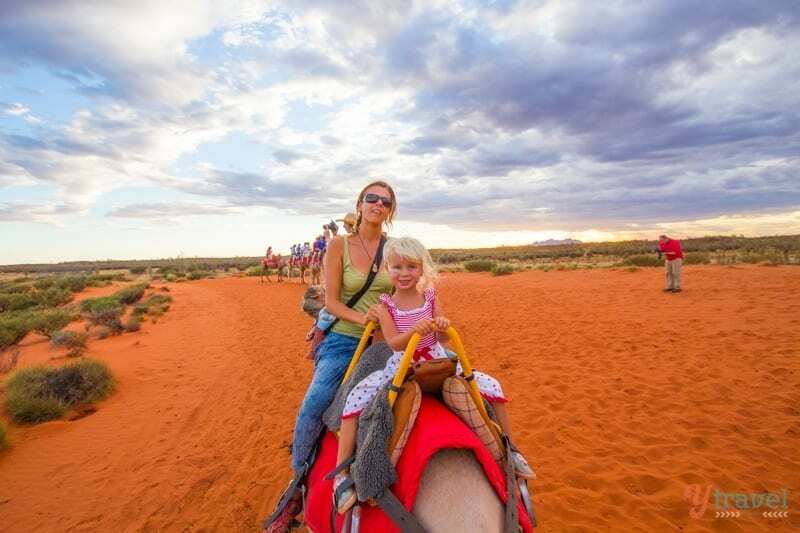 The travel experiences and what your kids can gain from it and how can you take advantage of these opportunities for growth and learning. What is the future of your child’s schooling? Will they return to traditional school or will you be a forever homeschooler? What are the laws, regulations, and conditions around homeschooling in your state or country? What homeschool resources are available to you? When we left Burleigh, we didn’t realize we’d still be in Australia in 2017! Thanks, visa delays. So I took Kalyra out of school without registering her in another one. There haven’t been any police knocking on my door so far for truanting. I was worried about the girls spending the next few years in No Man’s Land, not being registered in the system somewhere. What would happen if they returned back to Australia and they asked where they’d been schooling of the past three years? What if they didn’t let them back into school? What if the same happened and she tried to register in the US, and the last school records were of her in grade three and so they put her back in grade three? I asked a couple of family travel Facebook groups for help (this one is great). They provided lots of useful tips and information about homeschooling regulations which helped me feel at ease. I also spoke to Kalyra’s school principal. He assured me that if we came back to Australia, the schools are required by law to take the kids regardless of where they have been previously. If we’ve been residents of another country, then it won’t matter at all. It’s not something they’ll actually chase up. But, he emphasized to me several times the importance of keeping them up to grade level and check off the curriculum objectives, so they don’t fall behind. I assured him I’d take care of it. I will register them as homeschoolers when we get to the US. From my research, registering for homeschooling in the USA could be an easy process. Each state has different rules and regulations when it comes to registering for homeschooling. Ensure you do your due diligence as there may be documentation requirements. North Carolina is where we will probably end up living, so I’m considering registering for homeschooling in North Carolina there to keep it neat and tidy. I have learned that Florida and Texas are the best and easiest states to register for homeschooling. They are the less rigid and strict, so that may be the best option considering our nomadic lifestyle. It does mean we have to set up a domicile in either of those states, which seems relatively easy to do. Texas and Florida are also best for car registration, and with Orlando, you can get local prices for the theme parks if you have a domicile there. So this is also an attractive option. I’m going to do a little more research before I decide. Here’s a great resource to help you know how to register for a domicile. I also found that when it comes time to register the girl’s back into school in the US, they will have to take a placement test to ensure they are on grade level. So if I make sure I keep them on grade level and keep documentation of their work, we should be okay. TestingMom.com is a brilliant resource for preparing these girls for the state grade level tests. More about that below. The last thing I want is for my girls to return back to school and be behind. I don’t want to disadvantage them in that way and make things difficult for their teachers when they go back to school. I have a lot of experience teaching grade four and five. Kalyra is in grade four, so I am quite in tune with the learning outcomes at this stage. However, I will be keeping an eye on curriculum outcomes for both Australia and the US to ensure that I cover them in case we settle in either country. I don’t want to do the full unschooling thing. 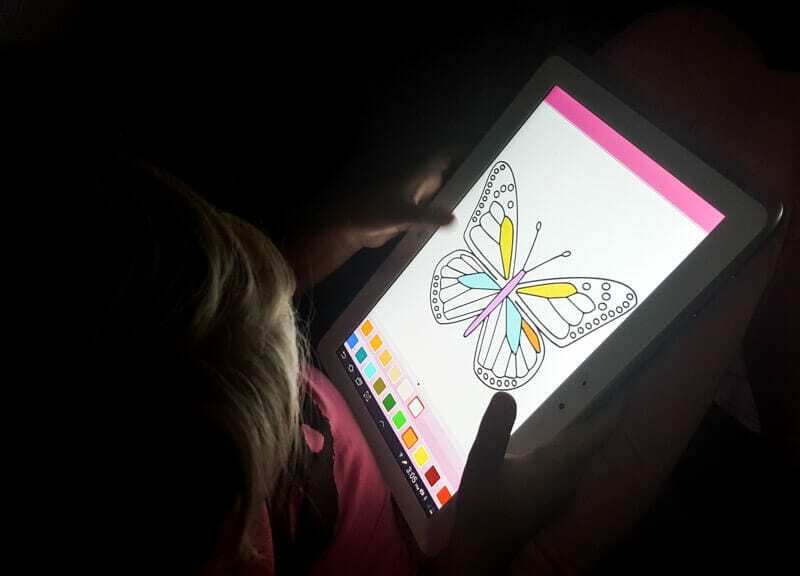 I’m not saying unschooling is a wrong approach – I think it’s great. But, since homeschooling on the road is not going to be a lifetime thing for us, I feel keeping them up to grade level is important. 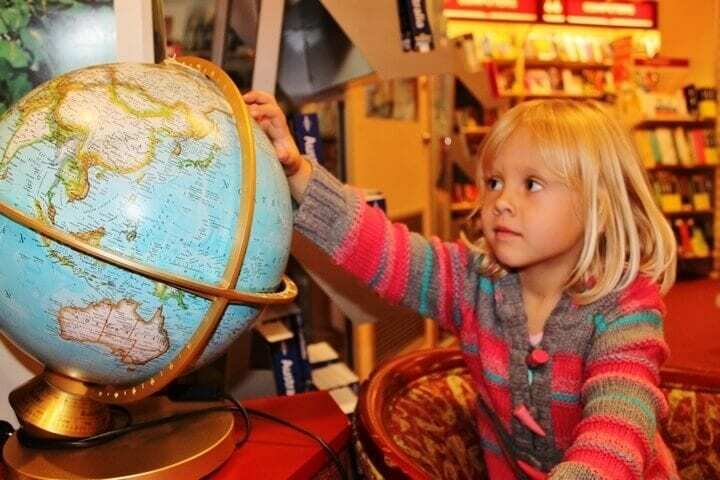 We’ll be mixing a bit of unschooling and world schooling with homeschooling. 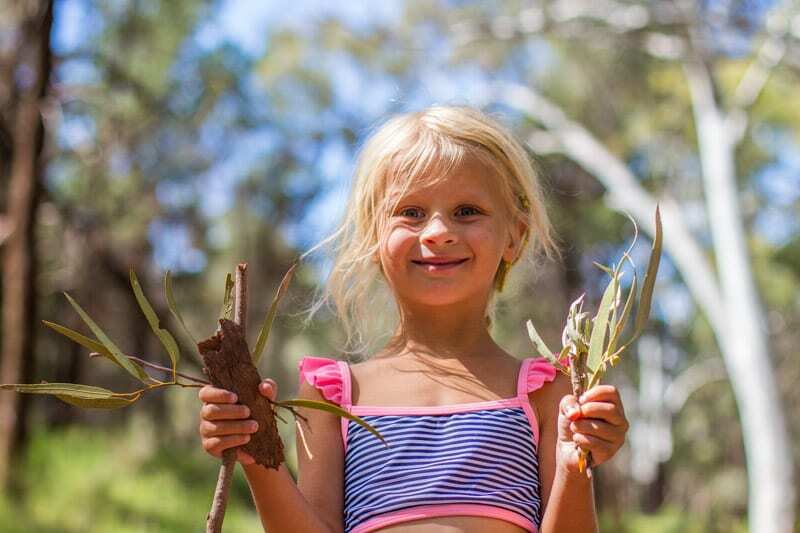 Roadschooling Makepeace style is what it’s going to be! It’s taken me awhile to research, test the best homeschooling resources and to formulate a homeschooling plan. I’m happy with how the roadschooling is working out and so are the girls. I’m glad I had the space before going to the US to figure it out and find the groove with our homeschool routine. Our travel and life experiences (i.e. unschooling) will check off most of the above boxes. This reduces the amount of time to teach formalized lessons they really have no interest in. I want them to be engaged, active learners in relevant, real-to-life experiences. You know that’s how you absorb lessons and grow best yourself. Bloom’s Taxonomy gives a framework for teaching thinking and is kinda the Bible that helps teachers plan lessons. Bloom’s aim was to promote higher forms of thinking in education, such as analysing and evaluating, rather than just teaching students to remember facts (rote learning). All three domains are essential for developing a well-rounded person – someone who thrives in life. Travel and life experiences more than covers each of the three areas. Schooling focuses more on the cognitive domain. The abilities and skills in the cognitive domain listed below start from the simple to the more complex. It’s generally accepted that you master each behavior before moving onto the next, but I don’t see it as always being so linear. Knowledge – recall of data or information. Comprehension – understanding what you are learning. Application – use a concept in a new situation. Analysis – breaking down concepts into parts and determining how they relate and to better understand it. Synthesis – building or creation/ combining ideas to form a new whole. Evaluation – making judgements about the value of ideas or materials. As you can see the higher order thinking skills help children learn how to solve problems, think for themselves, find connections and relevance, create and be able to reframe, refine, and evaluate. You can read more here on Bloom’s Taxonomy and how you can apply it to learning. As a teacher, I know how to draw out and develop those higher order thinking skills in general conversations and through the experiences we have. My girls aren’t even aware their sneaky Mumma is creating one teachable moment after the other. If your child can read and write, do basic maths skills, know how to learn for themselves, AND have these higher order thinking skills, you don’t have to worry too much about their future. If they miss social studies and science lessons while you are on the road, they will pick up those concepts super quick when you return, and when it is relevant to them, if at all. I love it because these tours take in social, cultural studies and science concepts. 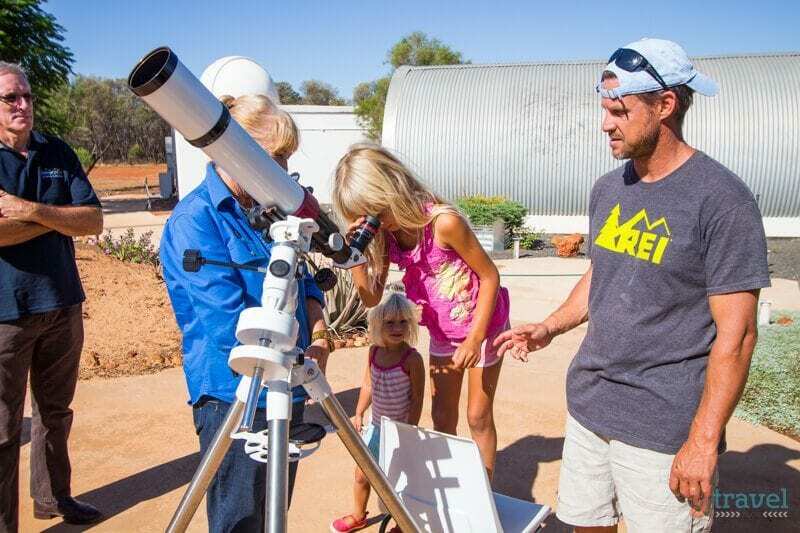 A visit to the Charleville observatory, where we observed the stars, looked at the sun, stared at Jupiter and saw her many moons, taught my girls more about the Universe than possibly a whole unit of work at school! 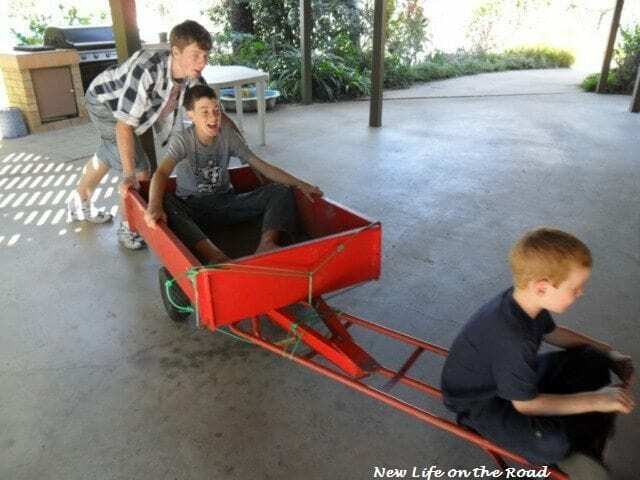 This is roadschooling at its best! 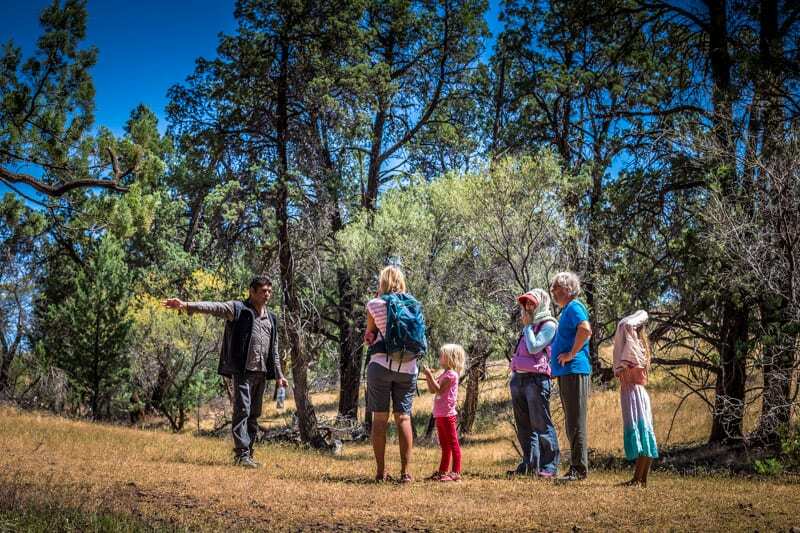 On our recent visit to Flinders Ranges National Park, we went on several tours with local indigenous guides. Because of the immediacy and relevance, they were more open to questioning, listening, understanding and thinking about how it was relevant to their lives. 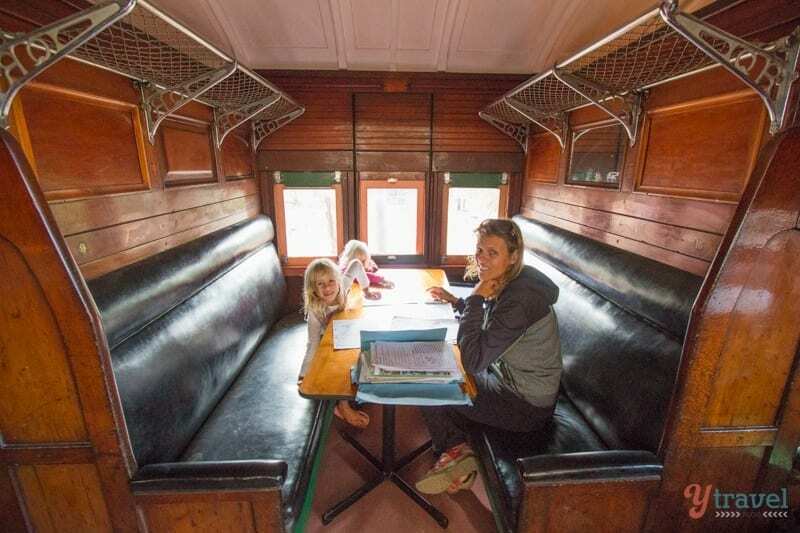 I have a gazillion examples of how travel has empowered my children in so many different ways and how easy roadschooling, or unschooling can be. There are a ton of homeschool resources online to help you find the right homeschool curriculum. You can buy curriculum in a box, or gather resources and do it yourself. We’re doing a mixture. My focus won’t be on social, cultural or science curriculum – unless I feel there is a gaping hole somewhere that they’ll need to know upon re-entry, then I will incorporate lessons. A quick trip to a hands-on science museum somewhere will sort that out. I can always make some of their reading lessons involve texts that talk about these concepts. Kalyra did one today learning about grasslands, forests, and deserts. 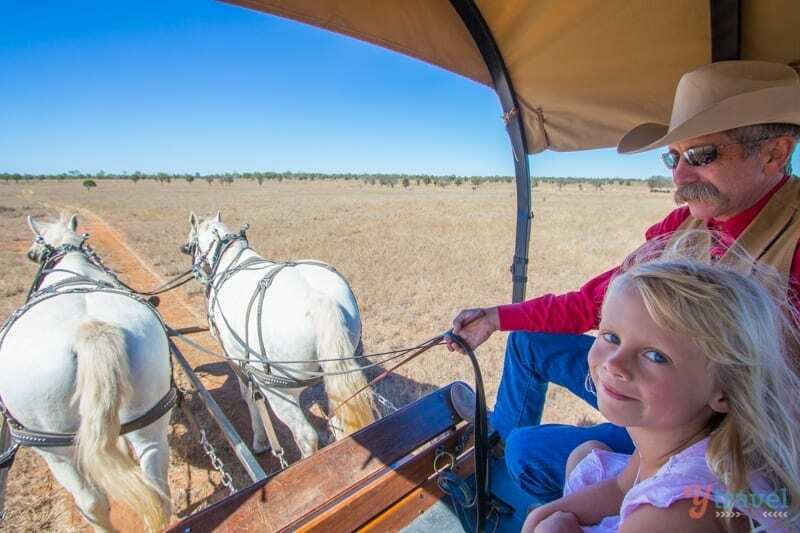 Stuff she already knows from visiting the Outback, spending time in the Daintree Discovery Rainforest and the Australian savannah. We’ll be moving a LOT! Kayaking, hiking, biking, skiing, surfing and stand up paddle boarding. Kalyra and Savannah watch dancing shows and teach themselves how to dance. Kalyra has perfected cartwheels and backflips by practicing one after the other – completely self-taught. I was worried at one stage that there was something wrong with her as she couldn’t walk five paces without cartwheeling. I’m sure there will be other sports and physical activities we’ll do along the way as well. Plus our membership with the homeschool resource, TestingMom gives us access to GoNoodle which has a lot of great videos with dancing and other physical activity instruction. Cosmic Kids Yoga is also a BRILLIANT free resource for kids. Art and music is about creation and self-expression, so it’s important to foster, especially if they have an interest and talent in it. The problem is, is I don’t hold many skills in either. But, in this internet savvy world of us, it won’t be hard to find a few YouTube instructional videos. My focus is on helping them learn how to learn. YouTube is a brilliant way to do that. My Mum bought Kalyra a lovely drawing art book for Christmas – that will be coming with us and will be part of our lessons – sketching our different experiences. Once we get to the US, I intend to purchase one of these art kits for them each. We may buy a guitar or something for them if they are interested in that. Kalyra did violin lessons in school, so I’m more than happy for her to pick that up again while we’re traveling. Savannah has expressed an interest before in busking on the street to earn money so the guitar just may help her entrepreneurial spirit. 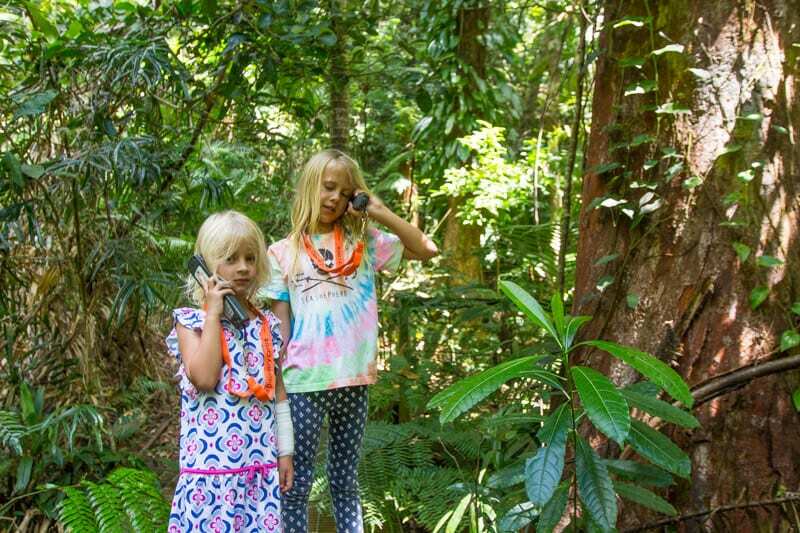 The girls are already helping us to plan the Hawaii leg of our journey. We research online using Pinterest and Google to find exciting activities and experiences. I want to incorporate real life activities where they take control of budgeting and spending money. Kalyra was excited recently to buy a doughnut with her friend, to which I explained was to come out of her own money. She saw the price of it, quickly changed her mind realizing it was a poor value spend. I nearly did a cartwheel. If only she transferred that thinking when it was time for me to buy her doughnuts!! Kalyra really wants to stay tat the Disney Resort in Hawaii. I requested that she research how much it would cost. 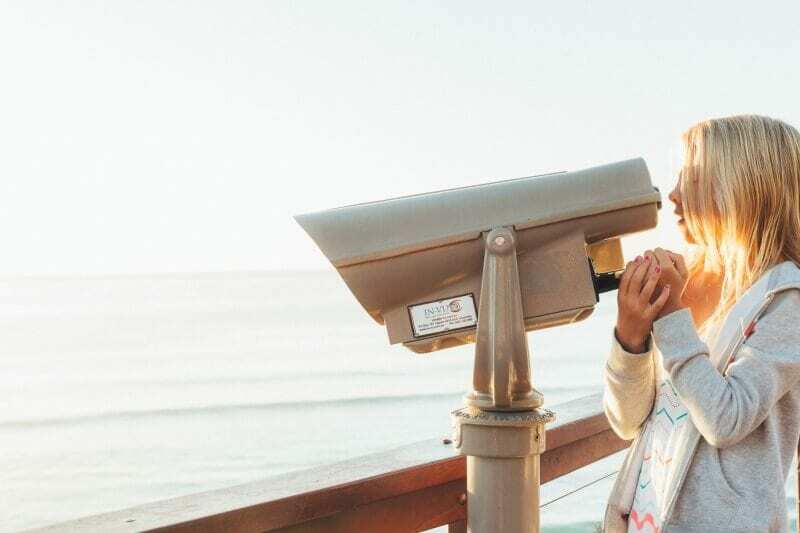 She gasped when she saw the price, but went straight to justifying it with a long list of all the complimentary activities and facilities that came with the price. She decided that we’d spend three days at the end of our time there in Hawaii and do nothing but hang at the resort to make the most out of our money. I told her she better start working on manifesting it! I want the girls to develop a greater awareness of money. So many problems in life are a result of not understanding how money works and our relationship with it. Schools do a terrible job of helping children understand this. It’s one of the most important topics to master. The greatest gift you can give your child is a love of reading and a high proficiency in it. I offer plenty of tips in my free Life Learning eBook on how to help children read. It’s important that your kids can, not only read the printed words but to understand what they have read and to engage with it. One thing I loved about teaching in the US is that I learned so many amazing strategies for teaching reading. The instructional programs we used were brilliant, I can now transfer that to the girls, which also ensures I’m keeping up with US-based learning for when they go to school there. 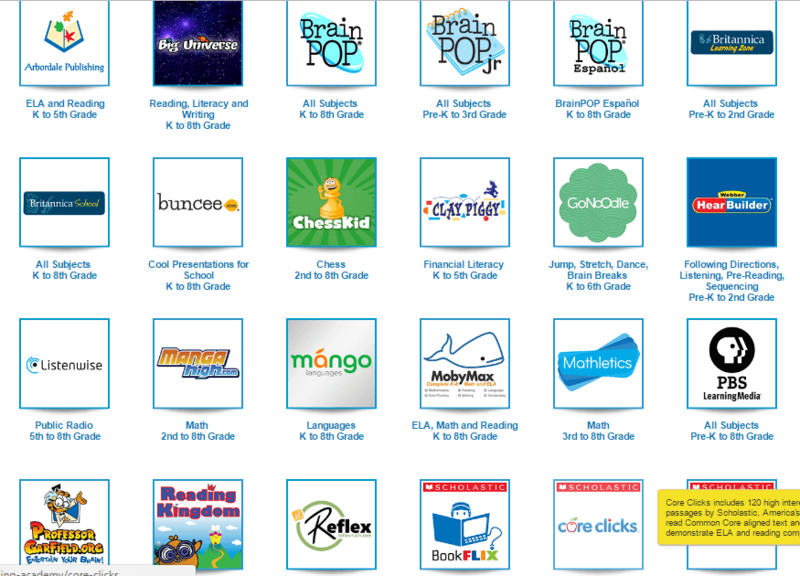 You can see the homeschool resources I’ll be using below for reading and literacy. It will be a daily activity in some form. Reading every day is core to our homeschooling. 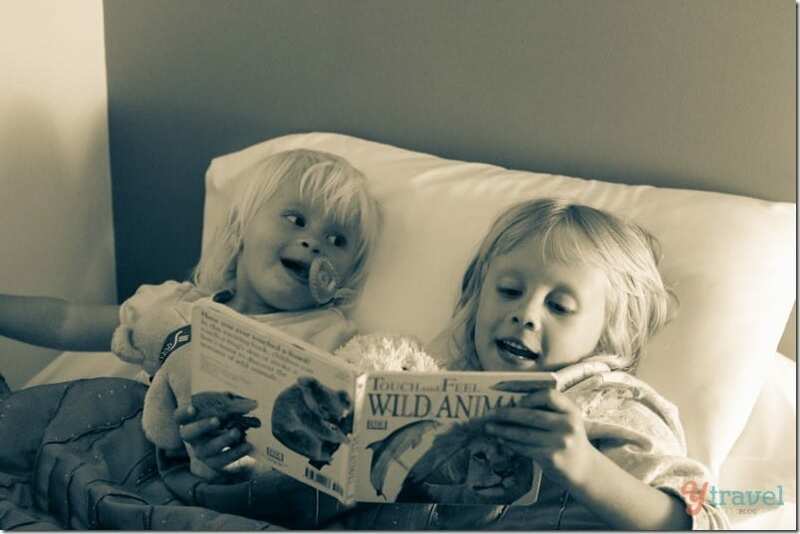 Both girls love reading. They choose what they read although I encourage them to have a healthy balance of fiction and non-fiction. The GREAT thing about having a love for reading (and a consistent habit of it) is that it naturally improves your spelling and writing. Kalyra’s ability to express herself in the written form is quite extraordinary. Journal writing will be a critical part of our school work. Expressing yourself without any rules is of utmost priority. Many many students I taught wouldn’t write because they were worried about spelling words wrong or not getting the conventions (as the teacher instructed) right. I hated this. It killed so many good writers and idea sharers. I just want kids to write. Express yourself, however, you feel. Get in the flow and stay there. I am considering purchasing this writing program for Kalyra once we get to the States for more formalized instruction. I love writing, but I hate teaching it. 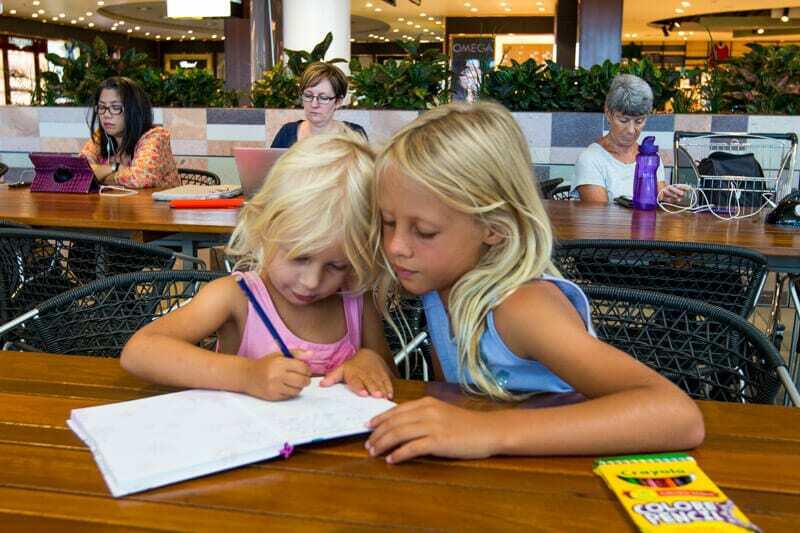 Maths (how we say it in Australia) is of the biggest concern for me for our homeschooling while traveling. Kalyra is on grade level for it, but it’s important I keep these skills up. The ability to solve a problem, to think in different ways, and to quickly compute in your head are so so essential to thrive in life. Schools race through curriculum outcomes (because they’re pressured with too many) and kids are moving up the grades without mental maths skills and strong basic foundations. At the moment I am doing a lot of work with Kalyra on mental maths strategies. This will definitely be the core focus of our maths work. Once you master this, the other concepts built upon them can be learned so much easier. The fun side of maths – space, position and shapes she’s mastering quite quickly and will be incorporated as we go. There’s no better way to learn than through pursuing something you’re interested in. Quit wasting time on things that don’t matter! YouTube is brilliant for interest-based learning. Kalyra was watching instructional videos recently from our friend Chrissy from Hair Romance on how to make certain hairstyles for her favorite American Girl Doll. She’s also watching Life Hacks and tests them at home. Last night she experimented with a hack for keeping water cold all day long in your bottle! She’s most impressed with what she’s learning to make her life easier!! I thought it would be really great to implement some lessons and units of work on her beloved Harry Potter stories which she loves helping her to engage with the text on a deeper level and foster those higher order thinking skills. She felt like I was taking apart something she loved and putting into the box called school lessons. I quickly stopped and let her just read the books and love them. The really really cool thing is she takes care of the learning from those books herself. Listens to interviews with the actors. And of course, we’ll be visiting Harry Potter World in Orlando which will help bring the world of the book alive for her. We did do an impromptu lesson where I asked her to research Harry Potter World in Orlando and The Making of Harry Potter World in London to decide which one she thought would have been better. 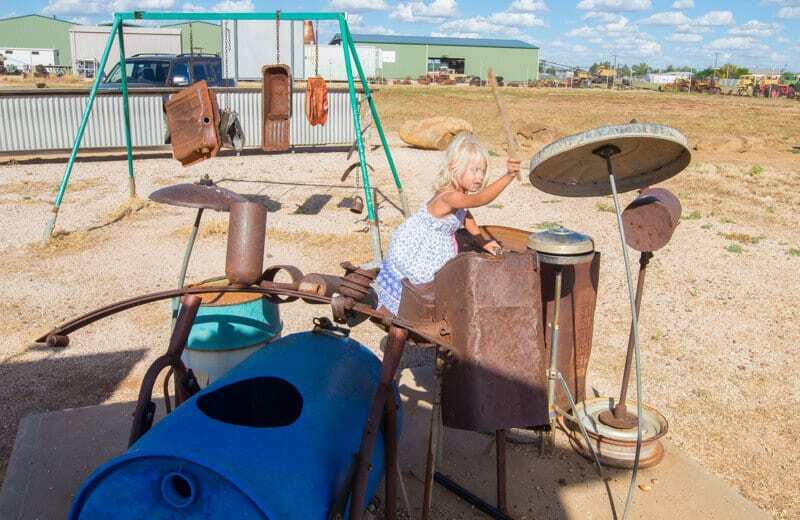 See what children can do when we leave them alone and let them follow their passions? She has no idea how much she is actually learning by doing all of this. She’s created her own unit of work on the books. These are the literacy activities teachers will create to help students gain greater meaning from the text and develop those higher order thinking skills. You have no idea how many cartwheels I wanted to do over this. Literacy based learning will mostly take this form for us as we travel. If I feel need to do anything more formalized, I will, but for now, let’s let her run with it and not box-squash it. We attended the Harry Potter Symphony in Nashville which Kalyra loved and crossed off many of our homeschool curriculum outcomes! Both girls have their own YouTube channel, and we’re just getting their blogs up. They are set to private for now. I don’t want to feel that pressure of the public eye for now and be searching for self-worth validation by the number of views or likes they get. The girls don’t want them to be public either. I want the girls to pursue this path. Purely because they have such a great talent and love for it. They help us create our own travel videos, but the stuff they do together when they play and make videos for fun is incredible. They learn so much from it as well. I’m pretty impressed with what they do in regards to camera angles, reframing, and scripting. I help them to create titles and descriptions for each video. Kalyra has such a talent for drama. She’s very witty, does funny impersonations, and nails an American accent. She reminds me of Natalie Tran. I can definitely see a future in drama or film production for her. But, put her in front of a live audience and she completely clams up. I so wish she didn’t feel so insecure to not share as she’s brilliant. Savannah is also thrilled to be creating her own YouTube videos as well and is so cute in how she speaks to her “Audience.” We had an impromptu lesson the other day on how to find the right lighting for filming. I want both of them to just create because they love it. When, and if, they’re ready to share it with the world, we’ll set it to public. I hope by then they’re strong and confident in their creation to not care about the metrics. Haters are just signposts to help us stay true to ourselves and develop faith in who we are and what we offer. We never let haters stop us from shining our light and sharing our message. We use their hates as an opportunity to practice gratitude and express kindness. 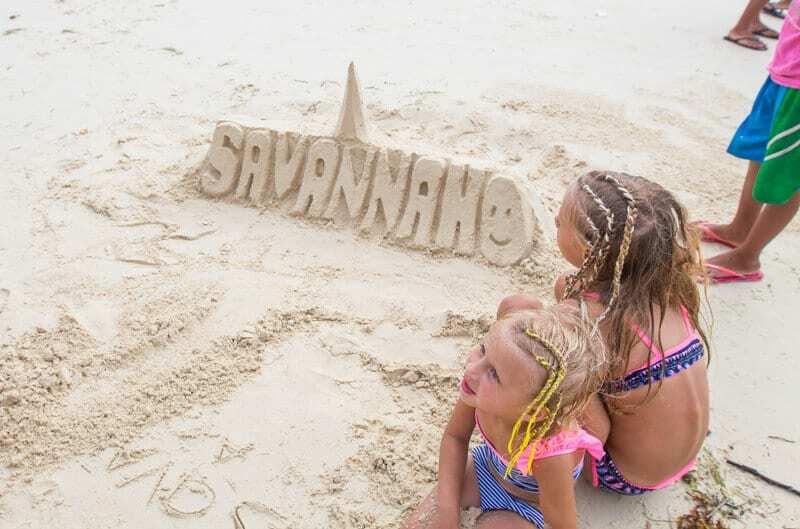 Savannah has a passion for cooking with me – rarely a passion for eating what we cook together. Kalyra has started to take on baking responsibilities and teach her sister. She’s nailing those higher order thinking skills as a result. 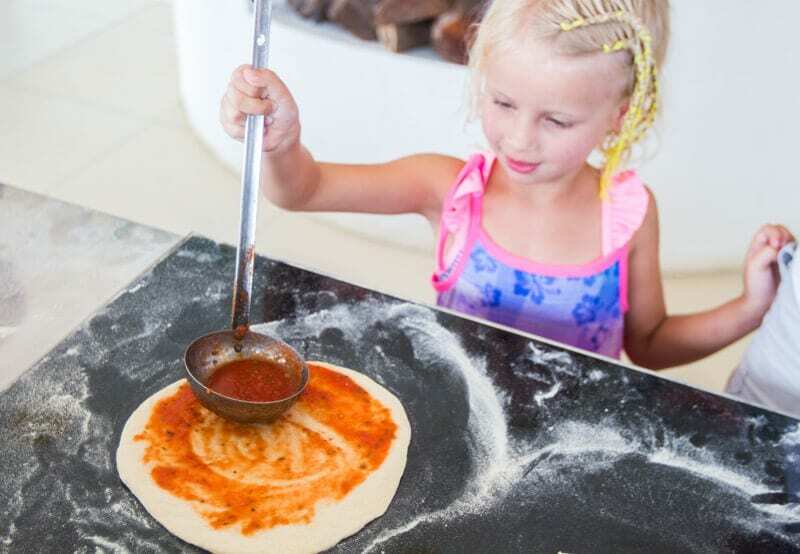 I can take care of teaching them the cooking myself, but I thought to make it a more engaging and fun learning experience to purchase the Kids Cook Real Food course. We love it! Savannah loves watching the videos to learn about knife skills and spreading butter, and then she has her turn to practice. It’s a bit more of a systemised way to learn and ensures I don’t miss gaps. She’s very thorough in teaching the kids to master the necessary skills. There are a lot of free homeschooling resources online as well as paid. Free often means a lot more work on my behalf. So if I find a homeschool resource that will save me time and help my children prosper, I’ll purchase it. Reading Eggs is by far the most brilliant program for teaching kids to read. We used it in schools when I was a teacher, and I have purchased the learn to read kit for Savannah, and the online membership for Kalyra. I am thrilled that they also offer maths instructions and at Kalyra’s level. Reading Eggs helps me cover skill based learning. It’s engaging and fun, and they can easily independently work through the lessons and games. Savannah has reading books and workbooks that align with each lesson. There are also bonus worksheets I can print off for further practice and flashcards for us to play games with. We’ve only been using Reading Eggs for a few weeks with Savannah, and she read her first sentence the other day. There were a lot of cartwheels and cheers happening them. The program comes with stickers and tracking charts to help kids see their progress and test how they are mastering concepts. They can earn eggs within the program, which they can spend in the store on clothes and accessories for their avatar and furniture for their rooms etc. Kalyra has lessons on grammar, spelling, vocabulary, comprehension and applying specific reading skills. Both girls do this for about 30 minutes x 4 days a week. 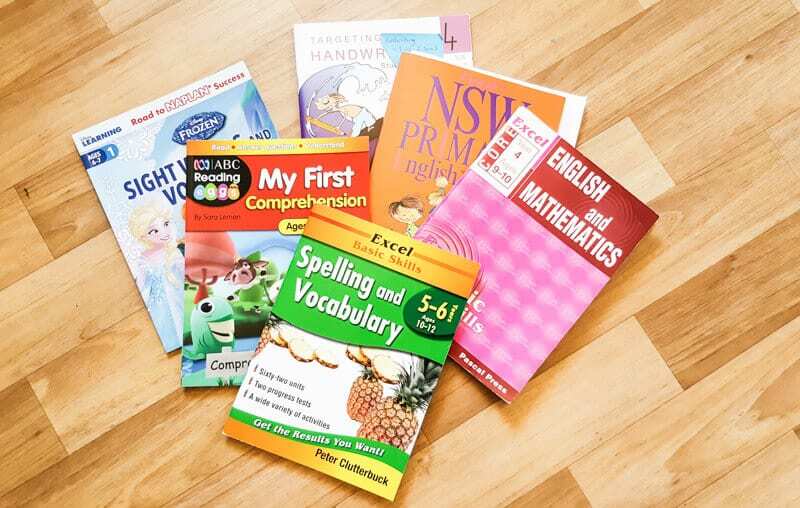 Reading Eggs is the core program I use for Savannah in regards to reading and maths, with a few of the resources from TestingMom listed below. You can get a free 2-week trial here. Testing Mom is my next go-to resource for homeschooling. The membership is fantastic value and worth it if you are homeschooling, roadschooling, or even if you want your children to have extra practice at home. Testing Mom is designed by parents to help other parents and their kids aged Pre-K through the 8th grade develop a lifelong love of learning. The site features fun skill-building games, challenging learning activities, and test prep materials for all 50 states making it very beneficial for schools where standardized testing (blah) is a huge part of the education system. TestingMom gives you access to hundreds of standardized testing for practice (Australia and the US) and resources for those gifted learners. I use it the testing side to check in on my daughter’s progress to ensure I am keeping up with grade level. And I will continue to use it as a resource when the girls return to school, especially if testing is involved! Testing Mom makes roadschooling much easier for me and fun for the kids. Kahn Academy is free and has fantastic instructional videos and practice questions for maths, science, arts and humanities. We use it mostly for breaking down difficult concepts in Math. Sometimes the girls just don’t want to listen to their Mumma! You can pick up skill based books and homeschool resources from bookstores or Amazon. They’re great to have on hand for extra practice for your child’s grade levels. 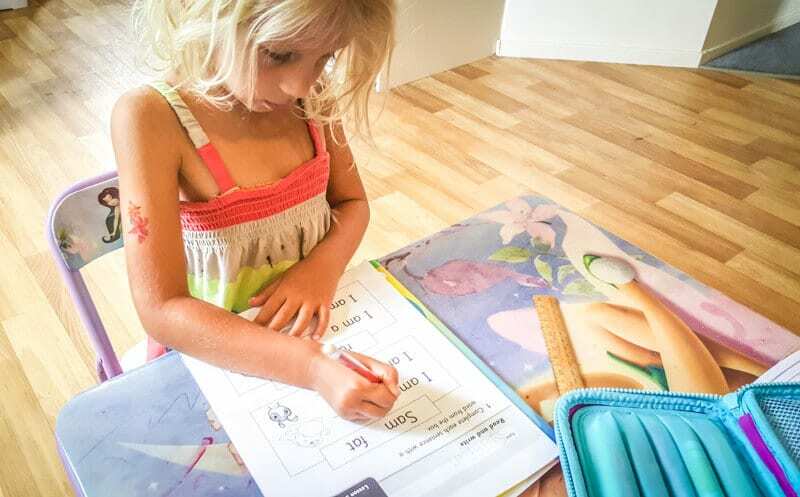 Targeting Handwriting – We use Book 4 for NSW for Kalyra. She enjoys handwriting, and I don’t want her to lose the fine art of it! Basic skills – I have Excel Basic Skills for 4th and 5th grade for English, maths, spelling, and vocab. You can pick up similar on Amazon. We do one unit a week, and it helps me to see what Kalyra needs more help with. Sight Word Books – the Reading Eggs kit I purchased for Savannah more than covers me for her beginning reading work. I have a couple of other workbooks to use for sight words and vocabulary and reading comprehension. Puzzles and quizzes are a fun and easy way to get kids to learn in a higher order thinking way. 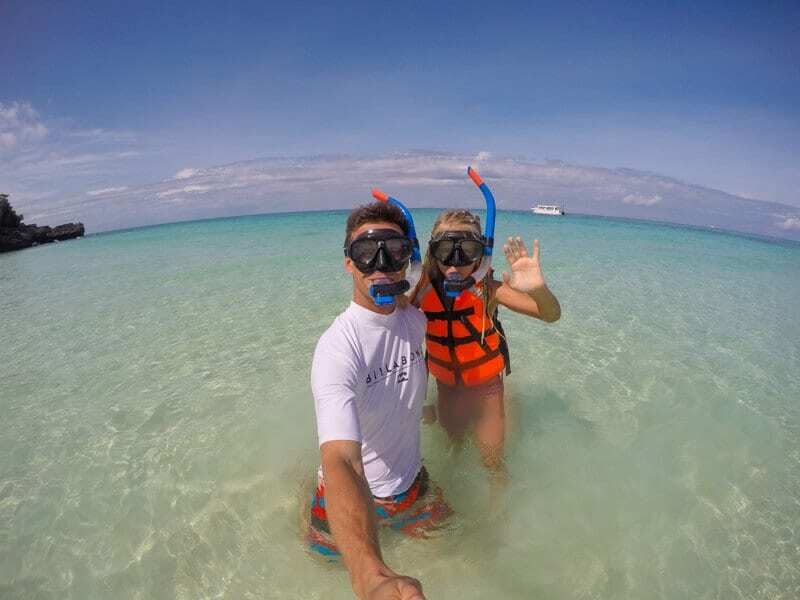 Take advantage of the kids’ activity packs they get on tours or resorts. They are relevant, emphasize what they have learned and done on tour, helps them learn new vocabulary and apply the learning in a new way. Boredom Buster Book This is a great one to get them thinking creatively on those long journeys. 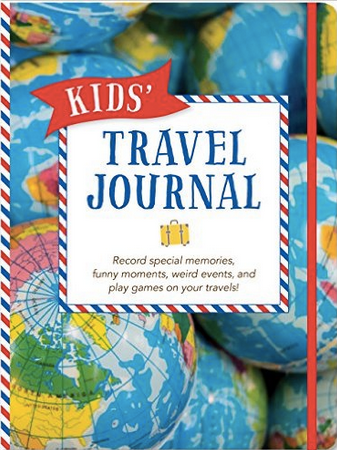 Travel Journals for Kids If you are traveling around Australia, you cannot miss these amazing travel journals. 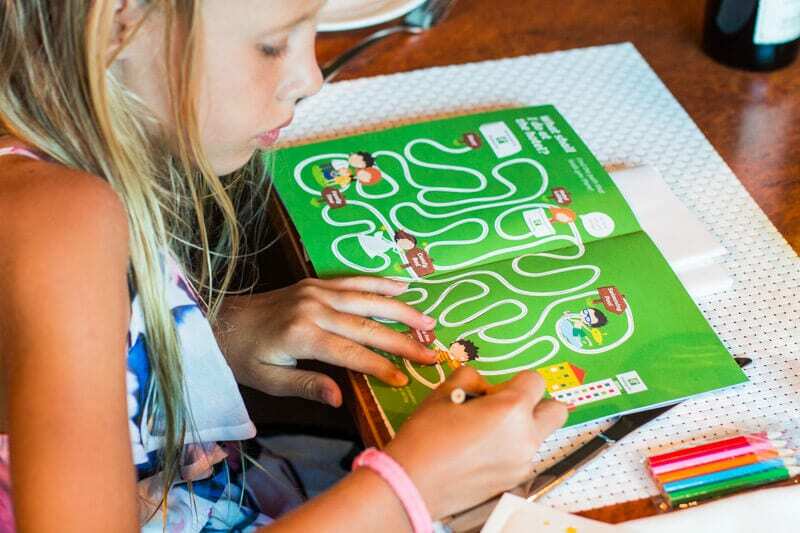 Leap and Hop Travel Guides is a series of travel books that invite curious children to discover and understand different cultures while playing, drawing, scrapbooking, doodling, collecting and observing. They’re cool. We have the one for New York, and Kalyra is itching to get there and use it. She’s already done some of the activities to prepare. Helping kids find wonder in the everyday by Caroline Webster This is an excellent book with easy outdoor and indoor activities to inspire children. It can be incorporated into your travels. Kids will do anything for a sticker!! I have a pile of stickers and rewards, which I give to the girls when they’ve done outstanding work, grasped a concept, or displayed important character traits like kindness and respect. They love them! Each girl has their own pencil case/organizer, similar to this. A set of coloured pencils, markers, lead pencils and gel pens. Each also has a Samsung Tablet, a set of headphones, and a ProCase cover. Do not forget the cover!!! We use these for the girls to film their videos, play games, watch movies and research – either school based learning or fun. Hip Homeschooling Blog I found Rebecca’s blog helpful for gaining information on the best way my kids learn and different resource and curriculum ideas. HSLDA is a membership based site to assist homeschoolers through various legal aspects of homeschooling in the US. There’s lots of useful information on here. Homeschooling Curriculum Lots of useful information on this site. Teaching Textbooks is a useful program for maths instruction. I’m considering this for when we get to the US if what I have planned for math does not work. Rosetta Stone for language learning, or just take classes in the local area while you are traveling! There is also a language program within TestingMom called Mango. 1-2 hours a day versus six and we choose our holidays rather than be told when to have them. 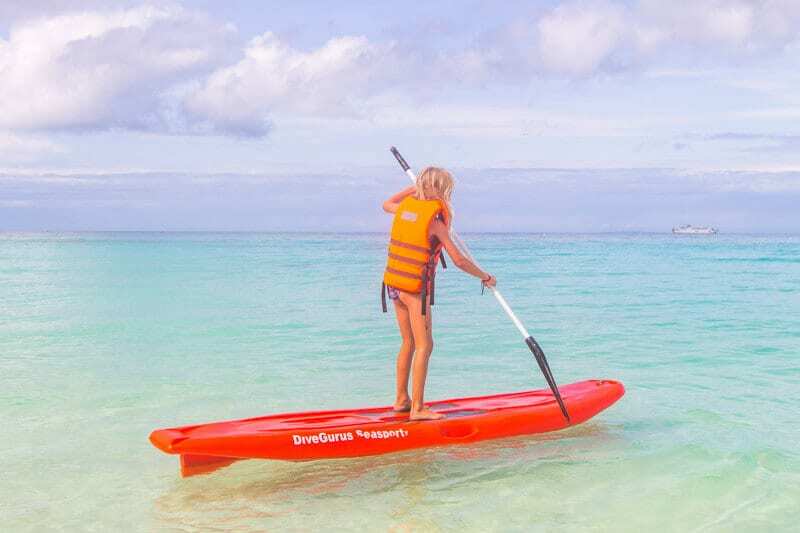 So for now, while we are waiting around for our visas and not doing anything, we’re going to do as much work as we can so that next month, when we’re in Hawaii and want to go stand up paddle boarding, we won’t have to say no. She got the picture and is happy to do some work each day. 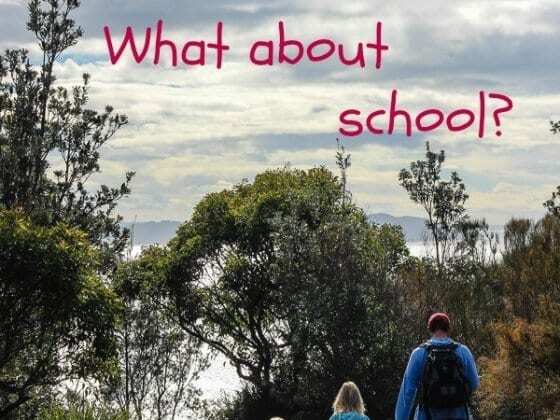 So yes, it’s summer break in Australia and school is in. We fit the homeschooling in with our life. We aim to do 1-2 hours of roadschooling a day. The rest is life learning. I can assure you based on my year’s of teaching experience, not much of the six hours of learning time at school is devoted to deep learning. There are too many interruptions and too many children in the classroom. You can achieve waaaaaaay more when you work one-on-one with a child for an hour a day than you will in an entire week at school. They pick up concepts and skills so very quickly as there are no distractions and you can speak in a learning language they understand. We tend to do our school work first thing in the morning when their (and my) energy and focus is best. It’s very challenging to get them to do work after they’ve been playing for the day. We have the guidelines set that they can’t play outside, with their toys, notepads or friends until their work is done. I usually have one sitting with me to do any bookwork or focused learning, while the other is on the computer doing independent work. Then we swap, or alternate, each day. We tend to do book work one day (1-2 pages for Math and English), one day on the computer with reading eggs, specialized instruction, and games. 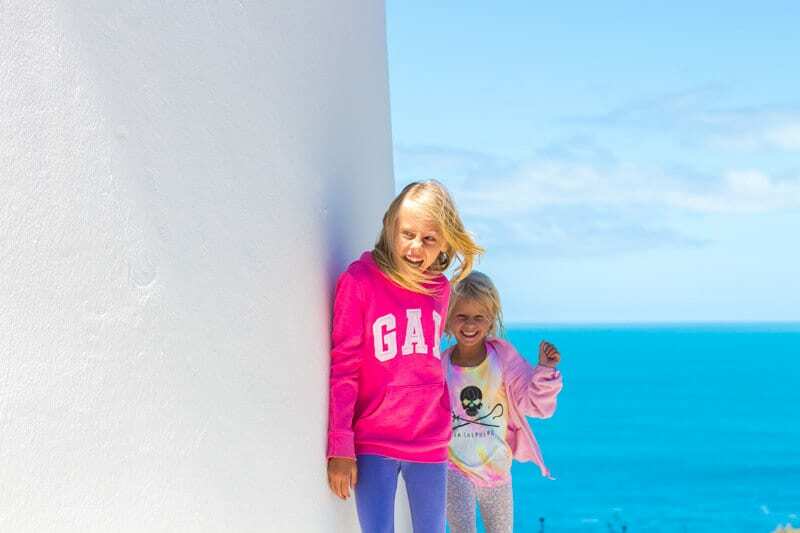 If we have busy travel schedules, we’ll work the lessons around that. We can change the times around. Some work they can do in the car as we’re traveling. If we have a quiet travel day we’ll do more work on those days to compensate for the days we have off. It takes time to get into the homeschool routine. See if you can establish it before you set off on your travels. It sounds like we’re doing a lot, but the majority of our roadschooling is life learning. I just have a lot of homeschooling resources to make it much easier for the girls and me. We’re all about unplugging from the chaos – from the things that don’t matter, the shoulds, have tos and musts – so we can reconnect to what is important. Homeschooling, Roadschooling, Unschooling, and Worldschooling allow me to do that. I think we thrive the best when we’re given the freedom to think and live outside the box, pursue our passions and interests and learn the relevant skills and information that apply to it. Roadschooling allows us to connect to and learn from the present moment. It offers more space for living a life that matters. Cull cull cull. Give more time for children to play, explore, investigate, discover, engage and interact. I have a new free ebook, you can access, called Life Learning for Kids – 31 ways to empower your kids to grow, learn and prosper – in school and out. Click to grab your copy now! I am super passionate about empowering children to become the best version of themselves. I don’t think schools have the capacity to do the best job of this, so this ebook was written with the intention to help parents fill in the gaps, as well as help you get the best out of the school experience you can. It’s a collection of articles I wrote for an online parenting website on how Learning Matters. In it, you’ll find 31 strategies to help your children become those thriving beings. There are two sections in the ebook, Your Child and Life and Your Child and School. These are based on what I have learned through my experiences as a mother, former teacher, global traveler, entrepreneur, and homeschooler. It will help any parent, traveling or not! Can you add any helpful tips for homeschooling on the road? My husband and I have been following your blog for several years and whilst we would also love to adopt your lifestyle, we worry about the long-term effects on our children – they will never get a chance to form friendships, to regularly play with their peers & to bond with extended family, to learn discipline & structure from traditional schooling nor grow up with a family home to feel safe & secure. Of course there are pros & cons that come with each lifestyle but it’s these aspects that are stopping us from hitting the road long-term. We question if we’re being selfish for wanting to adopt a nomadic life. How do you make these decisions or do you still worry whether what you’re doing is right? Great question Paige. I think I might write a post on it, so i can give more in-depth information. It’s definitely difficult and questions I’ve asked myself ro a long time. Now that I’ve spent so long on the road I feel more confident in answering it based upon my experiences. I think the first tip is to not assume and to ask yourself why are you assuming that they will suffer long term effects? Guilt? Society pressures? Conditioning, limited thought? Often times we tell ourselves these stories because we feel guilty or are fearful or we listen to much to others share their opinions. i did that. Listened a lot to people who had never travelled with kids telling me that I’d ruin them if i did. It’s a bit like getting financial advice from your broke next door neighbour. These questions are good though because they allow us to go in and find out for ourselves what the right answers are. I first listen to myself and what my gut tells me is the best thing. When I listen to myself, I first remove guilt and fear. I work out the pros and cons of each, which scenario makes most sense to what I really want. I then speak to those who have done it – parents who have travelled with their kids long term, and kids who travelled long term and are now grown up. I rarely heard a negative story from either camp about long term damage. In fact, it’s all been really positive. No matter what life you choose – one of long term travel or not – there will be sacrifices and there will be cons. I don’t believe you can damage your children with either choice. 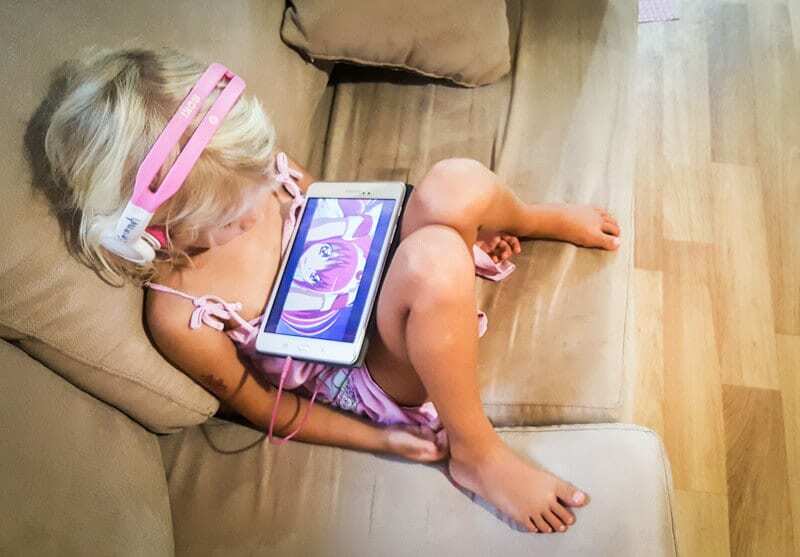 Kids are amazing at adapting and enjoying the experience of the moment. They mostly want parents who are happy and who love them.That’s why you should never feel guilty or selfish for pursuing your dreams and involving them in it. Now that I have experienced long term travel with kids and without, I can say that the long term travel is better. My children are thriving and happier when we travel and, although it’s not perfect and there are sacrifices, I know on the whole they prefer to travel. A couple of points – a family home is something you can provide to your children no matter where they are. It’s a feeling rather than an abode. Yes, it does come with less structure, but you can still create structure and security within the constant movement. I also think you can provide the structure and discipline that school provides. I do it with the homeschooling – it’s one reason I involve more of the traditional style learning. I do want them to have that discipline as I feel it’s important for making things happen. I think having a bit of freedom within the structure helps kids thrive more. They don’t feel so boxed in and controlled like they do in school. I think the two toughest ones, and the ones that do concern me the most, are the extended family bonding and the friendships. When it comes to family bonding, i think you can still maintain this, just not as regularly. You can easily chat now on skype etc. And it’s a great excuse for the extended family to possibly meet with you somewhere and have a trip together. Remember quality out trumps quantity. 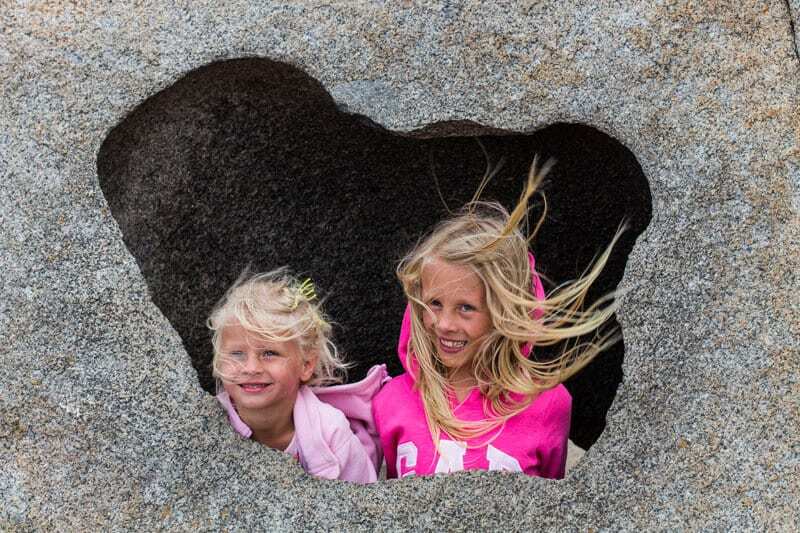 Knowing what the travel has given my kids, i wouldn’t change it. It’s a sacrifice but it’s worth it. I don’t believe we were born for our families. We have a life to live and a purpose to serve, we have to do what’s best for us and I do not believe that is being selfish. When it comes time for my girls to go off on their own they have my complete blessing to do whatever that may be, even if it means living on the other side of the planet. Long term friendships. Yeah its tough. I worry. My girls are really social and have always made friends easily on the road. i think its really helped them be adaptable and know how to get along with lots of different people. But, I know our time is running out for long term travel with the girls. Once they get into high school, i think it will be way more important for them to form those friendships. I don’t think it is now. None of my friendships I have now are from primary/elementary school. As long as they know how to interact with others, they’ll always make friends. Leaving to go on this trip this time around, i was concerned as Kalyra had made a really great friend. I also wasnt concerned as there was so much clicque, silly arguing that was happening at school as well. Think about it. School is this place where you’re thrown in a room with 30 strangers and expected to get along. It’s dog eat dog. I really don’t think it’s a great environment. I’ve seen first hand the nastiness that happens. IT’s just human nature. Kalyra hated it as she’s not that type of person. She just wants one or two good friends. So I was happy to get her out of there and away from the bullying. Now she can choose her friendships because they get along and she likes the person. But, it was sad to leave her friend and she was very upset. We set it up so the girls could have a FAcebook account purely to communicate with each other. They talk every day. We went back to visit them recently and they had so much fun. IT was so great for both of them as it helped them to see that they are forever friends. No matter where we are, we’ll always come back to them. Kalyra really understands that now and is happy. At this time, she does not want to go back to school and stop travelling. Tune into your children as well as they’ll help you to see what is working and what is not. You can’t have a perfect outcome. You have to consider the pros and cons and work out which lifestyle is going to give you greater rewards, benefits and growth. And go with that one understanding it will come with a sacrifice and price and then making a plan for that. I’d say, just test it. See how you go so you can decide for yourself. If you decide it doesn’t work for you you can always go back to the home base. I know that the settled life is not too far away from us. The sacrifices will become too big and we’ll be at that life stage with the girls that will require something different for them. i hope that helps! Great Post Caz and very informative. We just did 4 mths of travelling in Australia and put the kids in Distance Ed, (yr 2 and 3) and while it was great to have the structure and the curriculum all done for us it took up most of the day to get all the activities done. It was very online based and classes were at 8.30 and then some at 11.30 or some at 2.30. Very hard to keep up when you are in the desert with no internet. 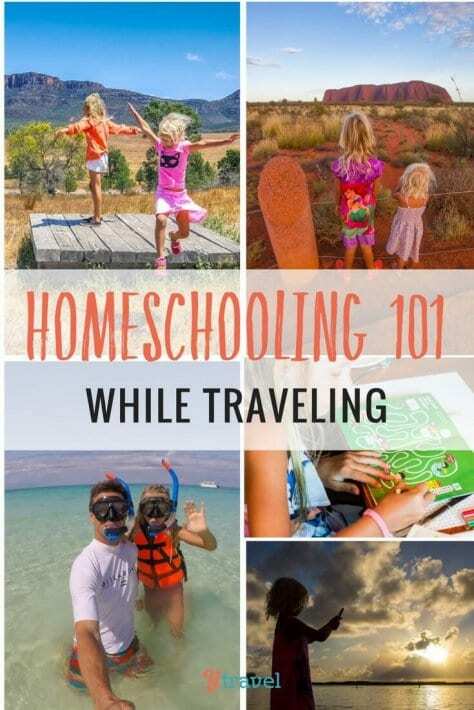 I think Homeschooling will be what we choose if we travel again. We cant wait to start following your journey in the US. Yeah the distance ed certainly has it’s challenges. We didn’t have to join with any live online classes thank goodness. That would have been way too much to cope with. So many wonderful resources and information. I’m learning so much from your page. Thank you for sharing. It has truly been beneficial. 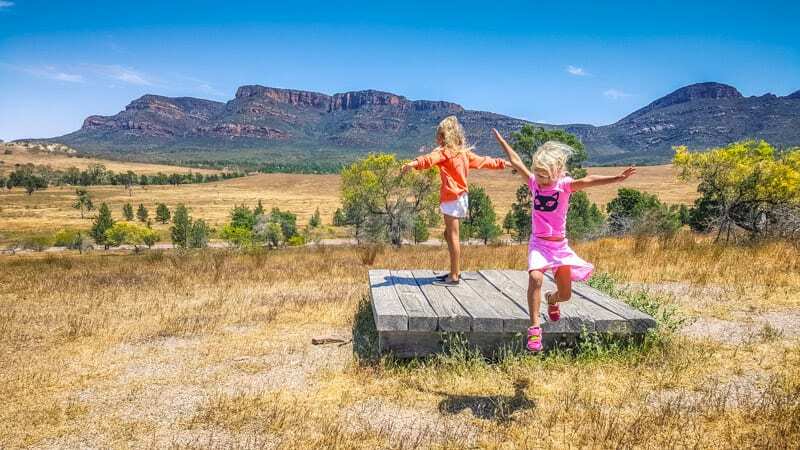 There are no plans to homeschool our children long term, but we are taking a long service break to travel around Australia and will be homeschooling during this time. Thank you again. My pleasure Karena! I think with the shorter time frame you’ll be fine! I’m a homeschooling mom in Ohio (this is our second year) and this was a helpful post for me! I’m taking some notes on some of the things you plan to do and even incorporate them. You’re so right- homeschooling is nice because you can do it in a couple of hours of day and fit it into YOUR life instead of the opposite. One question- because I’m also interested in my eldest creating videos- what type of camera do you allow the girls to use for their YouTube videos? And do they do the editing as well? Maybe I missed that. Again, can’t wait to follow along with your American journey. At the moment they are just doing it on their Samsung Tablets. I’m looking into getting them some sort of camera they can use as well. It will be fairly basic. They’re not editing yet, but I do have that as an intention to do that with them further down the track. I loved the article, I’m doing distance learning and I’m learning a lot. Thank you for sharing more relevant content for us. You are truly inspirational, what better way to raise your children than in the classroom of the world. We plan on adopting the same lifestyle with our own children. We asked one another just the other night, what did we actually benefit from school? We were both bullied and never came away with great friendships as we were always so different and saw the world differently from our peers, and we still do. We felt the same in the corporate world we eventually ended up in, our goal was always to be happy. Thank you for the detailed information, we will definitely be revisiting when the time is right for us. We imagine your children will thank you forever for the wonderful upbringing you gave them. 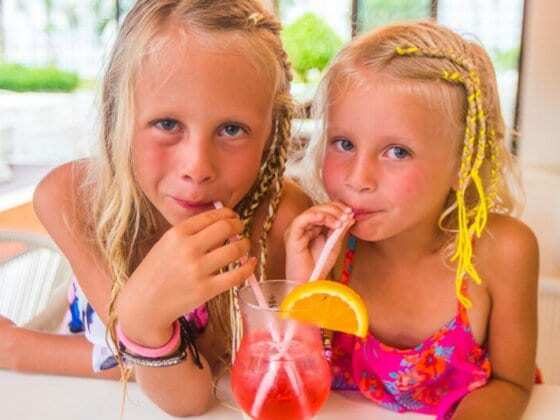 I homeschooled our girls before, during, and after our 6 month Round the World trip. My younger one would have gone to Kindergarten, so I wasn’t worried about her schooling. My older one would have been in Grade 3. I’m not a teacher, so did my best. I used RightStart Math which was recommended by another traveling family. It is really good, but I had to take a lot of materials with us. I used RAZ-KIDS for reading, as that is what the school was using. It’s an online leveled reading program, which didn’t always work when we were in places with poor internet connections. I also took some skill based workbooks and tried (unsuccessfully) to have them do a journal. Science, social studies, money, geography and culture were taught through hands-on learning. Now that we are back and the girls have returned to traditional school, we’ve found out that my older one is behind in her typing skills. Even though I asked the school about the curriculum before we left, I did not realize they covered typing so extensively in Grade 3. We didn’t bring a laptop with us, so now she has to put in extra practice to catch up. It’s a minor thing in the grand scheme of things though. My weakest area in teaching them was in English, in terms of writing expressively, and writing in different forms (narration, informational, etc. ), and this is where I wish I had more of a teaching background. What a fabulous experience. Thank you so much for sharing Sabrina, it’s very helpful to others thinking of doing the same thing. You are teaching your kids lots of great things…Have you also considered teaching them to have a growth mindset? Our child is now a senior in high school, and I can’t believe how fast the time has gone!!!! Although our school days are almost behind us, I still find myself drawn to these types of articles and really support other homeshoolers. I’m so happy to see that you’ve had as much fun homeschooling as we have. Congratulations and hoping you have many more happy travels in the future! I’ll look forward to reading about them. Hi guys, I have a question on this topic. My husband and I would love to travel for a year with the kids. Although in the Netherlands it isn’t allowed to take your kids out of school when they are 5 years or over. Did you run into a problem like this as well? If so, how did you handle it? Thanks! Thanks for sharing such a wonderful blog! I am a mother of two children, I am homeschooling them from past 8 years and its been amazing experience. I have traveled to a lot of cities in the USA and we used to have fun learning. Children wait for summers so that we plan somewhere out and we enjoy a lot and also they learn well. Thanks for also sharing some traveling resources which I can use this time.